Suwanose-jima (Ryukyu Islands): An eruption from the volcano was reported this morning by Tokyo VAAC. 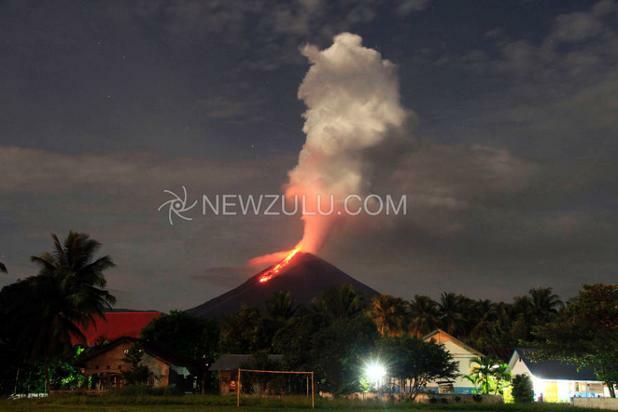 Soputan (North Sulawesi, Indonesia): The eruption continues at the volcano. It feeds a viscous lava flow about 500 m long on the volcano's upper western flank. Intermittent explosions and incandescent rockfalls accompany this activity. Pacaya (Guatemala): Small ash emissions continue, probably from mild, deep-seated strombolian activity in the new pit inside Mackenney crater described a week ago. Fuego (Guatemala): Explosions remain frequent and often strong, producing ash plumes that rise 1-1.3 km above the crater and are accompanied by shock waves that rattle roof and windows in nearby villages. Villarrica (Central Chile): Magma has reached the surface of the inner summit crater. Strombolian activity has formed a new small cone containing a small lava lake in its open vent. This followed a strong increase in volcanic tremor to about 20 times background level starting since Thursday. Glow from the volcano's top has become visible at night. Barren Island (Indian Ocean): As the Culture Volcan blog pointed out, a weak thermal anomaly was detected on satellite data above the volcano yesterday. The hot spot is weak, but could indicate some sort of activity occurring at the volcano. What could be a plume is visible on other satellite imagery, but for now, there is no confirmation of volcanic activity.